CLOSE TO AN ACRE FRONTING ONE OF THE BUSIEST ARTERIES THROUGH DELAND. FACING STATE ROAD 15A , ALSO KNOWN AS SPRING GARDEN AVENUE THIS LOCATION HAS A TREMENDOUS DAILY TRAFFIC COUNT OF OVERFLOW FROM BUSY HIGHWAY 17-92. LOCATED IN HOT-MARKET DELAND AND NEAR NEW COMMERCIAL DEVELOPMENTS THIS HIGH TRAFFIC AREA OFFERS SUPERB VISIBILITY AND NON-STOP TRAFFIC TRAVELING THROUGH DELAND. VOLUSIA COUNTY IS TARGETED AS ONE OF THE FASTEST GROWING COUNTIES IN THE COUNTRY. 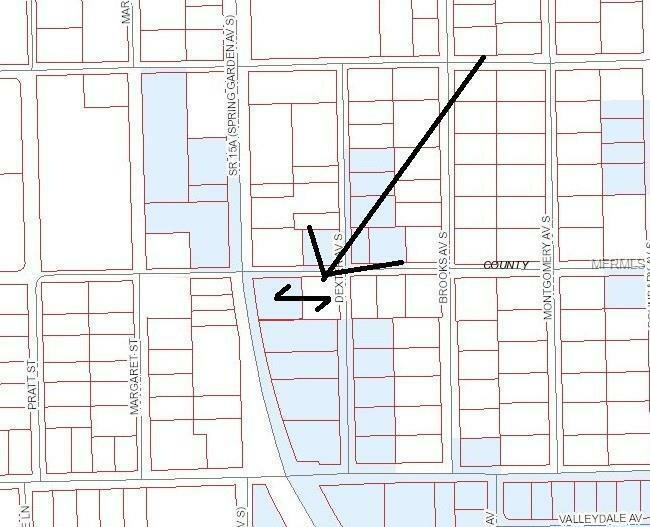 THIS NICE PARCEL OFFERS .98 OF AN ACRE OF PRIME VACANT COMMERCIAL.two adjoined parcels back to back**All Realtor information is presumed to be correct but not guaranteed including uses and lot size.+All Realtor information is presumed correct but not guarantteed . All zoning, uses and land measurements need to be verified by Buyer and Buyers Agent. Seller may reject any offer.